I make no conscious effort to be tough, or hard-boiled, or grim, or any of the things I am usually called. I merely try to write as the character would write, and I never forget that the average man, from the fields, the streets, the bars, the offices, and even the gutters of his country, has acquired a vividness of speech that goes beyond anything I could invent, and that if I stick to this heritage, this logos of the American countryside, I shall attain a maximum of effectiveness with very little effort. Continuing to be impressed by this master, I was in bed with a cold this week and was very grateful for the invention of audiobooks. 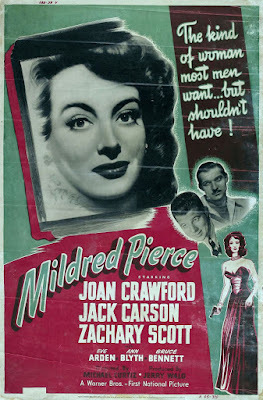 I lay back with a clogged-up face and listened to the classic, Mildred Pierce, brilliantly read. I was surprised that the book is a complex, non-violent, literary work. 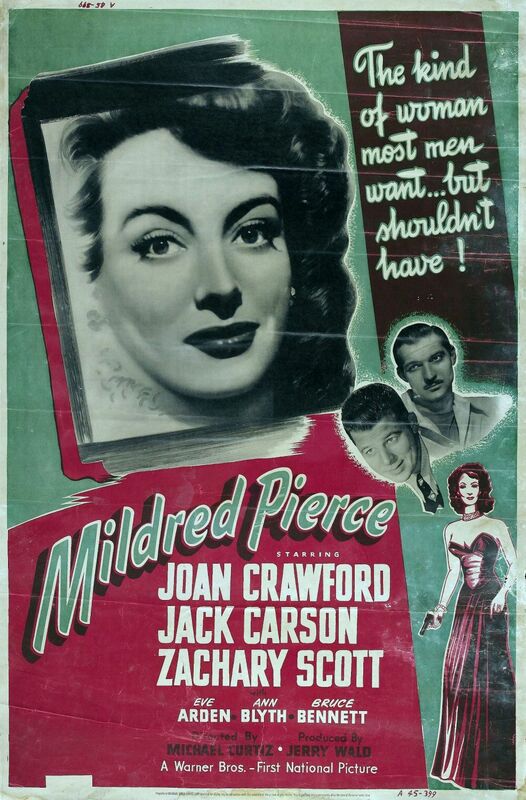 It was adapted into a 1945 classic film noir starring Joan Crawford with murder introduced into the plot (screenplay co-written by William Faulkner), likely due to the success of the adaptation of Cain's 'crime thriller' Double Indemnity the previous year. 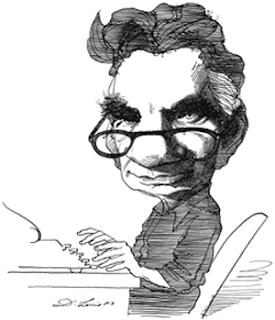 An Easterner, a newspaperman and a protégé of H.L. 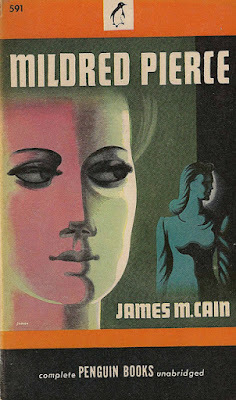 Mencken, Cain was against labelling, but he's usually associated with the hardboiled school of American crime fiction and seen as one of the creators of the roman noir. He did not write about detectives or publish in the pulps. The adaptation of Mildred wouldn’t have helped, and several other of his novels inspired highly successful films. 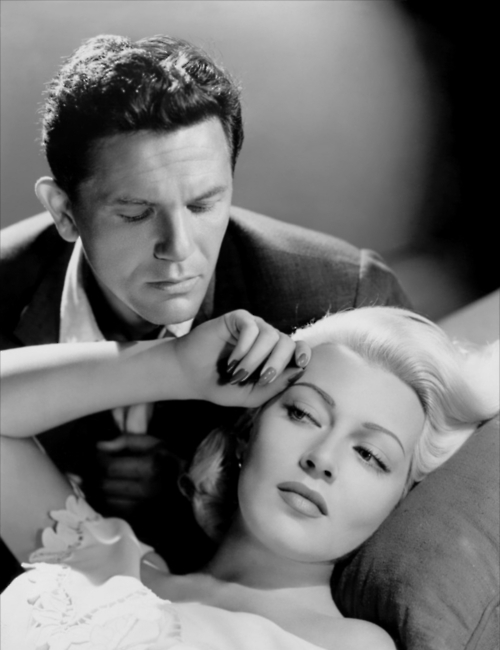 His first novel, The Postman Always Rings Twice, published in 1934, and Double Indemnity, serialised two years later, became two standard film noir classics. 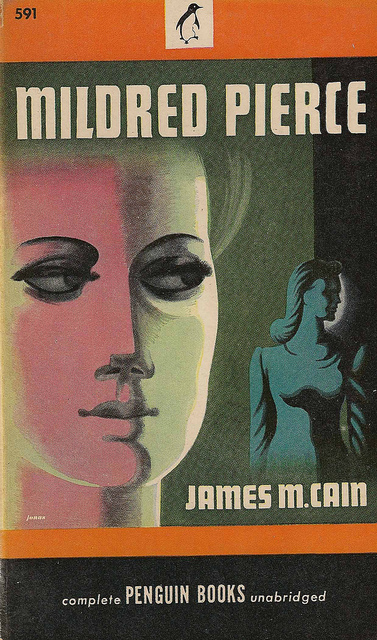 Decades after his death, The Cocktail Waitress, a lost James M. Cain novel, has resurfaced. Okay, it’s not amazing, but the labour of love behind its publication is. Cain was 83 years old, his star had fallen, he suffering from painful ill health, but he was a writer and every day he put pen to paper. 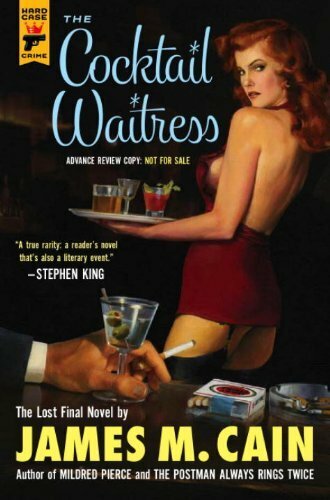 He was branching out, writing historical and children’s fiction, but when he knew he had only one book left in him, he went back to his roots, The Cocktail Waitress is a crime story that mirrors the classic Cain novels. He showed it to his publisher but wasn’t satisfied and kept hold of it, continuously tinkering. It disappeared after his death, clues as to its existence only lay in the odd correspondence. The Cocktail Waitress was published by Hard Case Crime, an imprint of hardboiled crime novels founded in 2004 by Charles Ardai and Max Phillips, who felt the paperback crime novel style of the 40s and 50s needed to be revived. The covers feature original art done in the pulp style by artists such as Robert McGinnis and Glen Orbik. The collection includes both reprints of books from the pulp era and new novels written for the collection. 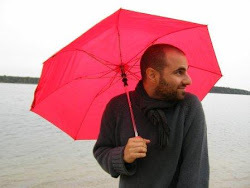 Cain wrote of depravity, reality and sexuality of all flavours, but he wasn’t a sensationalist, he put the material to work, writing about life as it is lived, and language as it is spoken, the affect of crisis on the human soul and the ability of the human animal to survive. Maybe the Nicholson/Lange film could be one for 101 Films You Should Have Seen?